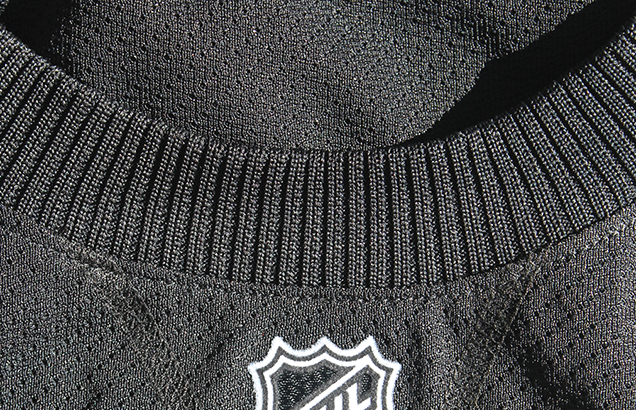 On Saturday, the Boston Bruins unveiled their upcoming Winter Classic jerseys. 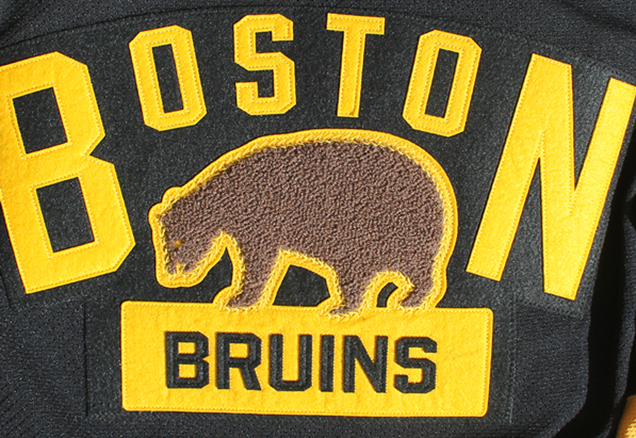 From the summer announcement with all the league and team bigwigs, we knew that the Bruins were using their inaugural 1924 logo that they only wore for their first two seasons before making a modification to the concept. 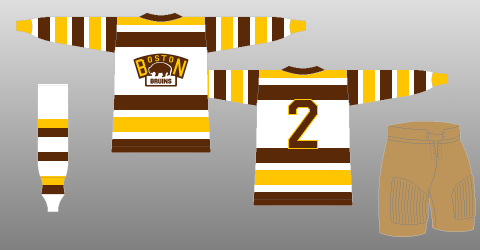 Because of that, there was much speculation that the Winter Classic jerseys would be modelled after either their 1924-25 jerseys, or their 1925-26 jerseys. While the latter would have been a lot of fun to see, they ended up going with the more minimalist former…for better or worse. Read on after the jump! Regular readers know I’m generally all for minimalism in jersey design, or at least, including only design elements that make sense. This jerseys certainly does that, with nothing but black, the logo and a few yellow stripes: 2 on each sleeve and one along the bottom. 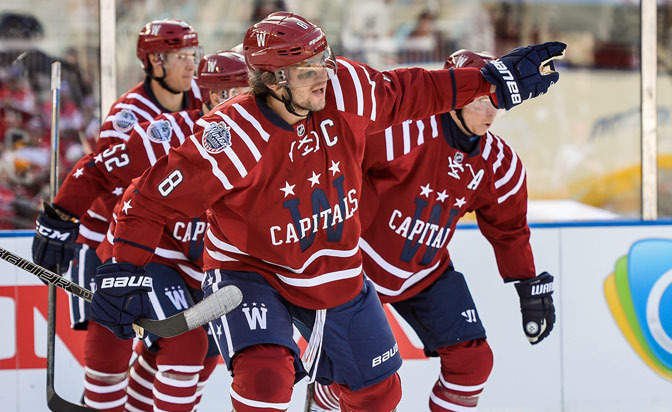 While I can’t dispute the historicity of the jersey, it looks much more like a design for the recent Stadium Series jerseys than one for the Winter Classic, for a couple reasons. 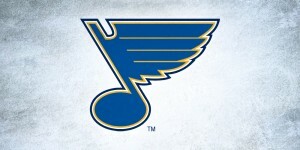 First, this new design departed from the original with the size of the stripes. In the originals, the yellow stripes are noticeably thinner, almost half as wide as the ones on these new jerseys, reminiscent of the thick stripes on this year’s Avalanche Stadium Series jerseys, and last year’s middle-striped Sharks’ and Kings’ jerseys. Essentially, it feels clunky and not well thought out. Second, the large numbers. Granted that’s how they are on the backs of the originals, but they never had them on the sleeves. The large thick sleeve numbers mixed with the thicker stripes just adds to the clunkiness of it all. The elephant in the room, of course, is that the game is taking place in a football stadium, so doesn’t it make sense to have a Stadium Series-esque jersey? Well, yes and no. 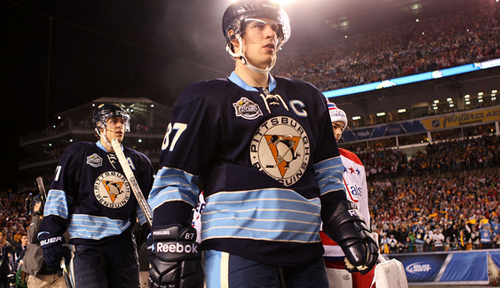 The Winter Classic has always been a great showcase for the quirkiness that exists in the history of hockey jerseys. From Toronto’s super-stripey jerseys to the Penguins’ cummerbunds, the Winter Classic has had shown some unique jerseys from the teams’ past designs (or quasi-made-up past designs). 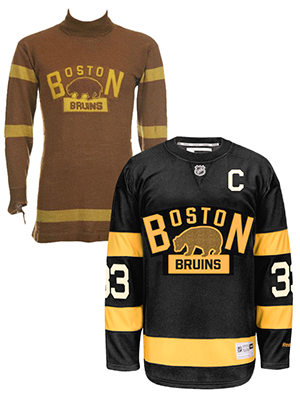 These Bruins jerseys are historical, but don’t look historical (aside from the logo). So why don’t they look historical? There’s one big thing that they changed that would have made a huge different to the overall tone and aesthetic to the jersey: why the hell didn’t they leave it brown? 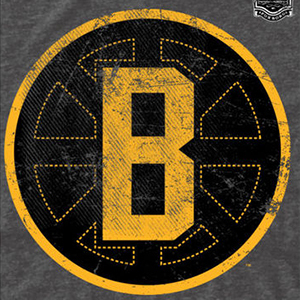 I get it, the Bruins proudly wear the black and gold, and have since 1934. It’s their brand, they’re proud of it, and they want to continue it. Cool, no problems with that. But, this is a one-game jersey that celebrates the history of the game, so why modify it to by changing it to black at this point? My main guesses are (a) the afore-mentioned team colour branding thing and (b) they’re worried brown jerseys won’t sell as good as black ones. The latter, if true, is unfortunate. 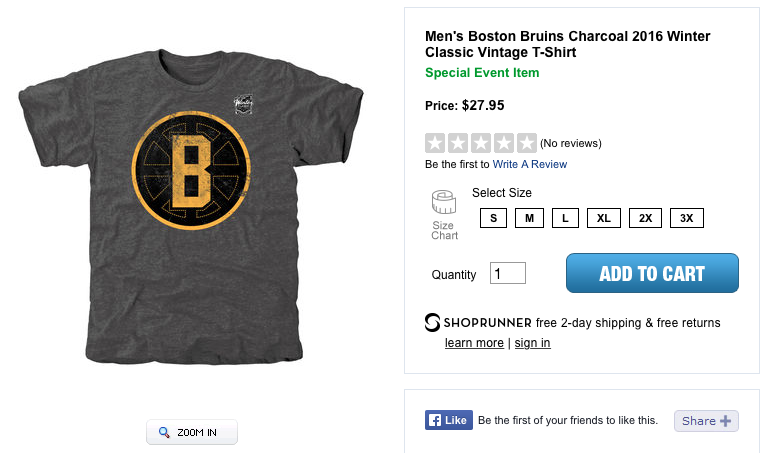 They’d sell shitloads of jerseys no matter what (live feed of Bruins fans right now), and changing the brown to black isn’t going to change that. 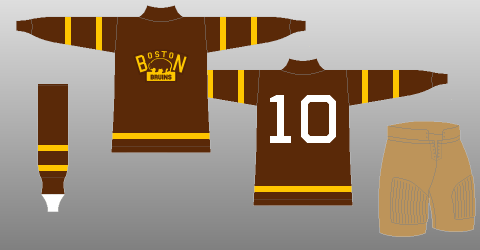 No other team wears brown, and introducing it back into the team’s brand gives a nod to the Bruins’ vast history in the league as one of the Original Six (but not an actual original NHL team). Using black automatically makes it look much more modern that it should. And regular readers will know my general distaste of black jerseys: one a clean white sheet of ice, and one team always wearing white, bringing some colour to the game is always a better idea than black. And then there’s that other thing that visual association that happens when having a solid black shirt/jacket with thick yellow stripes on it. I thought that bears generally didn’t like fires? The firefighter association is definitely not the worst association a hockey jersey could have, but I don’t think that was intentional because it doesn’t make a lot of sense. And that’s my flaming #hot #taek on it. 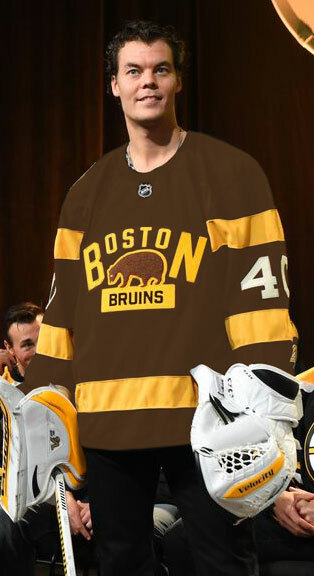 But seriously, change that black to brown, and it changes the whole feel of the jersey, from a jersey belonging in a Stadium Series to one belonging in the Winter Classic. 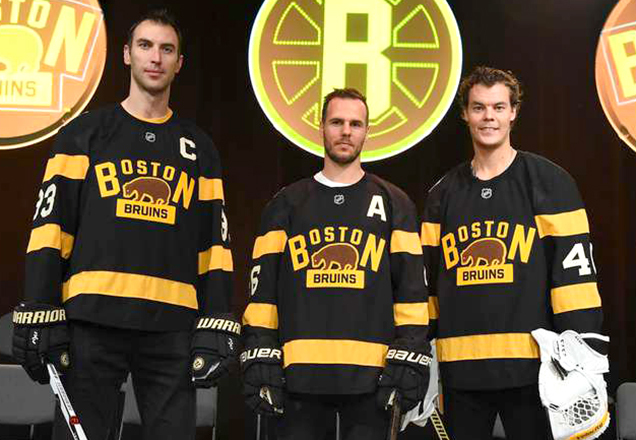 Granted, this is a minor complaint, but it’s strange that the Bruins apparently developed a brand new alternate logo for the game, and then prominently displayed that logo at the unveiling, but it’s nowhere to be found on the jerseys themselves. Using it as a shoulder patch would have made the most sense (although not historically accurate), but it’s confusing as to why they would even bother designing an alternate logo that’s not going to get used. Personally, I’m a fan of it. It looks retro and modern at the same time, so it fits well with modern design aesthetics. 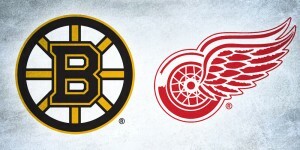 Maybe it’s not the perfect fit then for a Winter Classic game (again, more of a Stadium Series inclusion perhaps? ), but again, why have it at all? Answer: sell more merchandise. MOAR MONEY FOR JACOBS PLEEZ! There’s also some really cool elements included in this jersey. First, there’s the use of a crewneck collar instead of the standard slight V-neck, which hasn’t been seen in the league in quite a while. The original jerseys were actually turtlenecks, but seeing as they’ll be playing Plekanec, they didn’t want to go that route and confuse people. 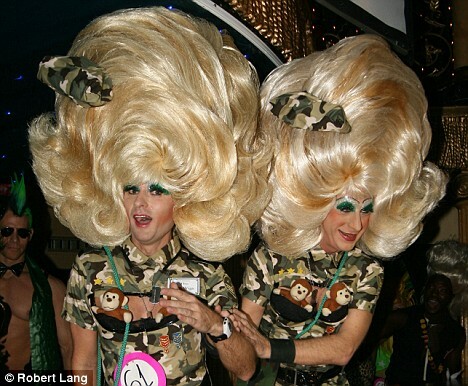 Oh, and not many people like wearing them. I’m really interested in seeing how these crewnecks will look when worn with all the modern protective equipment under it. Probably a little bit strange, but seeing as how the collar is black like the jersey, it probably won’t be all that noticeable at all, which might be a shame. Might’ve been cool to make it yellow and stand out a little more? Another nice touch is the use of traditional number stitching on slightly off-white numbers. It’s a very minor detail you would never notice until you see one up close, but it shows thoughtfulness in the design, and those are the kind of things that enrich the whole experience of wearing the jersey. 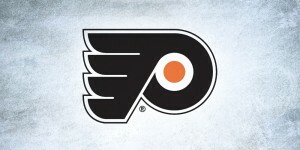 But, the coolest thing about the jersey is the logo. The bear on the logo actually has texture on it, like those books you could never stop touching as a kid. The Bruins’ press release about the jerseys don’t mention it specifically, but from their website: The crest colors celebrate both the beginning and modern day color palette of this historic franchise, and are executed in felt and chenille materials, similar to the original crest. It gives the jersey such a unique and interesting quality to it that is absolutely unique within the league at this point, and fitting for a game like the Winter Classic. If I was wearing one, I wouldn’t be able to stop myself from rubbing that bear. Also, it’s a nice touch that they left the original logo (mostly) alone, with its strange typography and odd bear drawing and all. 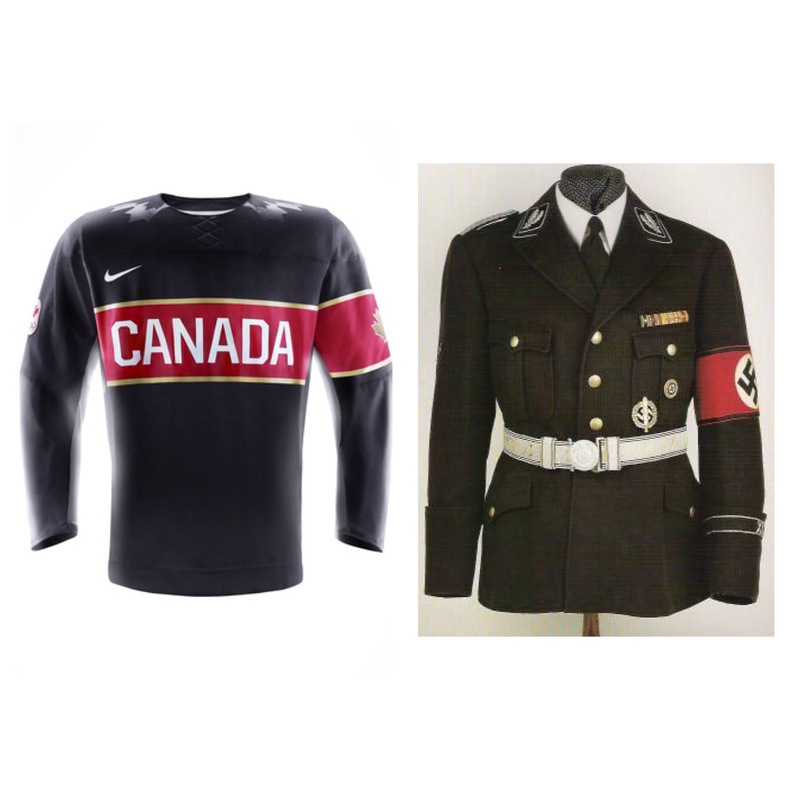 In the end, it’s probably the only obviously historical-looking element on the jersey. Despite some really cool details on the jersey, which are fantastic, it still feels like a missed opportunity. Change the black to brown, and then you’ve got something that’s both really cool, nicely detailed and actually looks historical. With black, it automatically looks like something that’s straddling both modern and old design without really succeeding in being either. Agree? Disagree? Let us know in the comment or start a conversation on Twitter. “Both modern and old…without succeeding in being either.” Sounds like the Bruins line-up. Cannot wait to see what the Habs do with their sweaters. Yeah, totally looking forward to that as well. I agree that brown would have been nicer, but to an extent. I think the original brown was too light, and a darker brown, a shade between that and the current black, would have been ideal, in my opinion. Still, overall, very nicely done Boston. I love to blog. I’m blogging for years now.